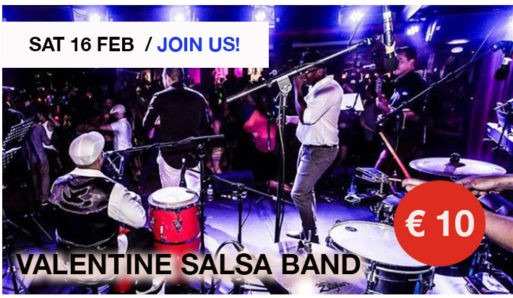 Join us on saturday the 16th of Febuari with live music here in La Bodeguita We'll start with a nice romantic Bachata Workshop at 21:30 to get you in the Valentine spirit! This night will contain a great mix of latin vibes and rhythms! Don't miss out on the opportunity to dance on real live music! Listen to the Conga's, Clave and of course the Guiro.